The University of Maine at Presque Isle’s very own Mitch Wheeler served as one of the speakers in the 2018-2019 Distinguished Lecturer Series, providing a Distinguished Student/Alum Lecture on Tuesday, Feb. 5, at 7 p.m., in the Campus Center. Wheeler, who also served as the sixth-ever UMPI student/alum Distinguished Lecturer, delivered a talk titled Carving Out Your Own Career Path. Wheeler graduated from UMPI in 2017 with a Physical Therapist Assistant degree and now works as a PTA at Cary Medical Center. His particular career path is a unique one—from the military to law enforcement to healthcare—but it’s a path he may never have taken if he hadn’t gone through physical therapy himself and discovered a passion for the career field. Wheeler grew up in Bridgewater and graduated from Central Aroostook High School in 1991. He went into the U.S. Air Force right out of high school and worked in security and policing for almost nine years, the last four of which were for a classified tour in New Mexico. But he knew he wanted to pursue a career in law enforcement, so he headed back to Maine and secured a position with the Cumberland Police Department. 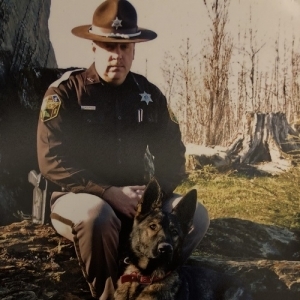 The next year was a blur for him: because he had remained in the Air Force reserves, he was called back to active duty after 9/11, but contracted spinal meningitis six months later, was out of commission for another six months, and then was honorably discharged and returned to law enforcement with the Yarmouth Police Department in 2002. 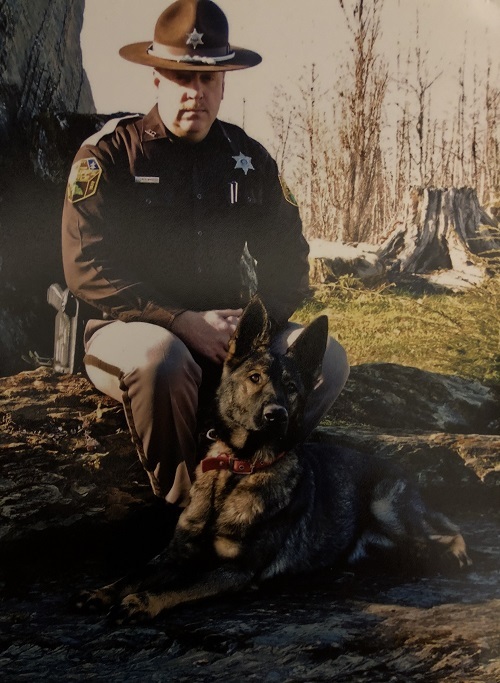 Two years later, he moved back home to the County and, after a year with the Presque Isle Police Department, worked for the Aroostook County Sheriff’s Department for a decade. It was during that time that Wheeler experienced an off-the-job back injury and ended up completing a round of physical therapy at The Aroostook Medical Center with a physical therapist named Michelle Slike. The conversations they had together ultimately changed Wheeler’s life. Years later, Wheeler found himself really considering a career change and his wife Allison happened to find the PTA program at UMPI. The rest, Wheeler said, just “flowed like water.” He had four years left to use his benefits with the Post 9/11 GI Bill, so everything was paid for. The PTA program, he explained, was extremely hard, and on top of the 60 hours a week of study time that he put in, he also worked as a reserve police officer in Limestone, took care of his farm, taught karate, did carpentry work, and tried to carve out family time with Allison and their kids Chloe and Jack. But the program also provided him with some unexpected opportunities. Michelle Slike ended up teaching one of his PTA classes, which gave Wheeler the chance to thank her and tell her “You’re the reason I’m here”. And Wheeler had such a positive experience during his clinicals, that it led to a job at Cary Medical Center right after graduation. In his current role, he said he enjoys the interaction and the challenge of figuring out how to make a patient better, and, in this job, he gets to see the results of his work. Getting there was an arduous journey, but one that Wheeler said has been completely worth it. The University’s Distinguished Lecture Series was established in 1999. Each year, the UDLS Committee sponsors four to six speakers who come from Maine and beyond, representing a range of disciplines and viewpoints. While the emphasis tends to be on featuring visiting academics, it is not exclusively so. The speakers typically spend two days at the University meeting with classes and presenting a community lecture. This is the fifth year that the University has invited students/alumni to participate in the series as Distinguished Student/Alumni Lecturers. For more information about this talk and UMPI’s Distinguished Lectures, contact the University’s Community and Media Relatios Office at 207-768-9452 or email umpi@maine.edu.